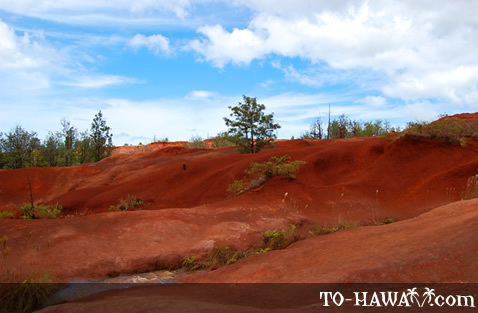 On the to-do list of many visitors to Kauai is Waimea Canyon and Koke'e State Park. 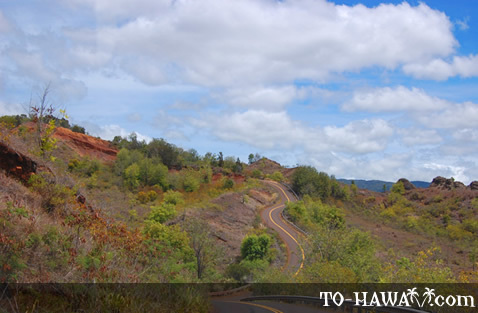 There are two roads you can take to get to the canyon – Waimea Canyon Drive (which begins in Waimea) and Koke'e Road (which begins in Kekaha). 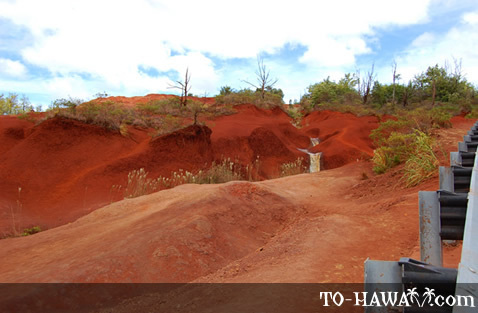 Waimea Canyon Drive merges into Koke'e Road around mile marker 6. 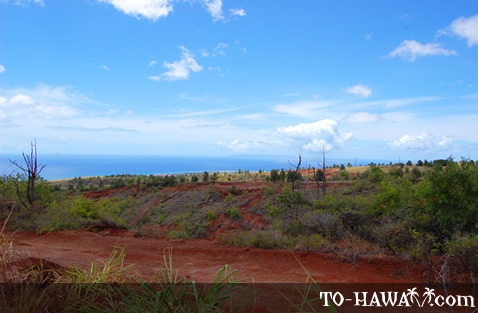 Waimea Canyon Drive is a little more scenic. 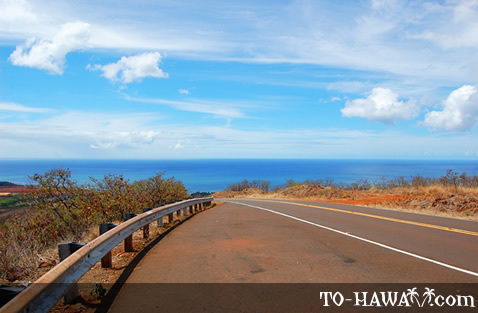 It has quite a few curves (just like Koke'e Road), but it is relatively easy to drive. 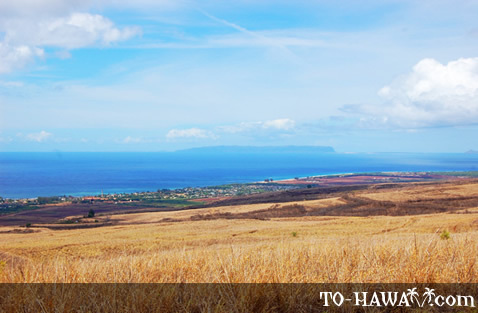 There are some great lookout points along the way. 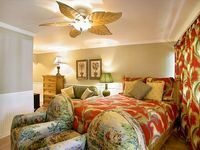 Some overlook the coastline, others the mountain landscape. 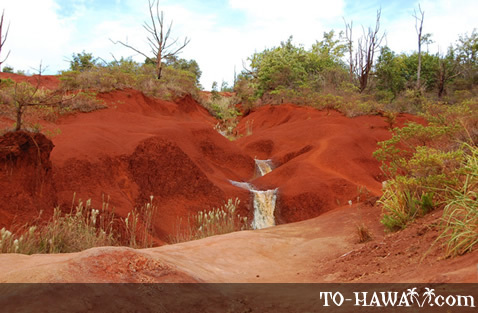 One popular stop overlooks a small waterfall surrounded by Kauai's popular red dirt. 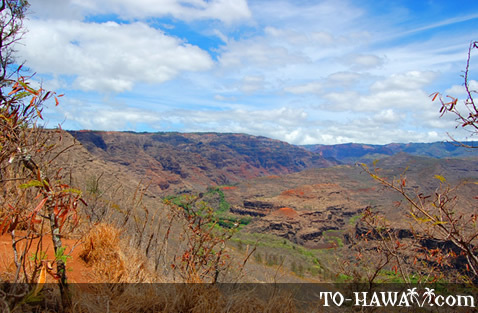 After Waimea Canyon Drive and Koke'e Road merge (around mile marker 6), it is another 4 miles (6.4 km) to the Waimea Canyon lookout. 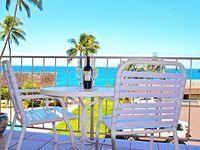 Since the Waimea Canyon lookout is located at an elevation of about 4,000 feet (1.219 m), the temperature can be a bit cooler up there, especially in the winter months when it may be around 10°F (5°C) cooler. 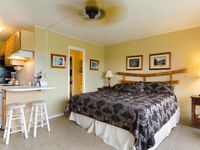 If you plan to stay overnight at the Koke'e Cabins which is further up, bring some warm clothes because it can get chilly at night. 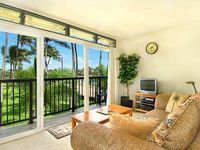 It is best to visit Waimea Canyon on a sunny day. If it is rainy, the scenery won't be as pretty and the different color shades of the canyon may not be so visible. 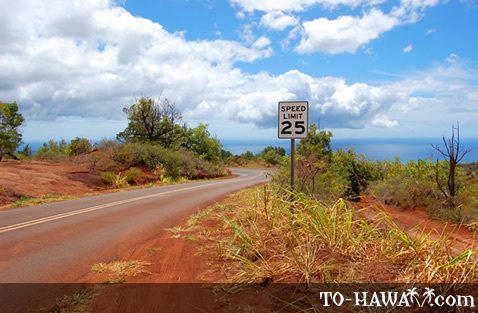 Directions: In Waimea on Kauai's southwest shore, turn onto Waimea Canyon Drive (Route 550). 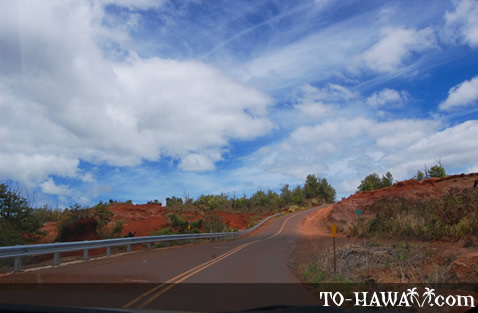 Waimea Canyon Drive merges into Koke'e Road. Follow it until it dead ends after mile marker 18. 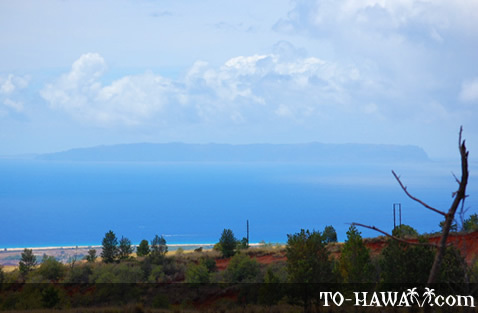 The Waimea Canyon lookout is located between mile markers 10 and 11. 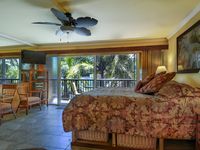 The Kalalau Lookout it located at mile marker 18. 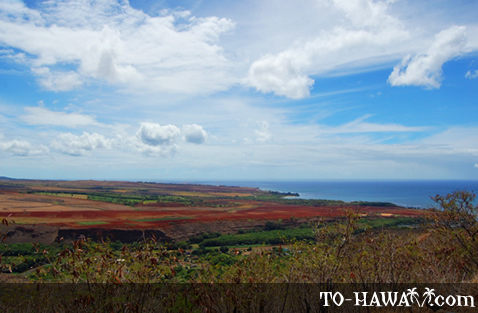 The Pu'u Ka Pele Lookout is located between mile markers 12 and 13.